In a refreshing change of programming, Santa Cruz is going all-XC on us for the start of 2018. Jib-specific trail bikes and Beyonduro™ shred-sleds may still whip up the majority of the marketing whirlpool, but cross-country riding and racing is quietly making a comeback, and the bikes are evolving fast. Case in point is the launch of the brand new Blur and Highball models from Santa Cruz. Announced as a pair (affectionately known as the ‘Blurball’), these two new 29in XC bikes are the contemporary reincarnations of their predecessors, equipped with new tools to deliver a more versatile and slightly looser attitude that extends well beyond the race-tape. The 3rd generation Highball from Santa Cruz. Photo: Gary Perkin. Debuted in 2011, the Highball hardtail was already a very popular choice amongst privateer XC and marathon racers everywhere. Apparently the only negative feedback coming through from testers and customers over the years was that there was perhaps too much literal feedback through the frame. A comfortable and springy bike for all-day pootling it was not. And so for the third generation Highball, Santa Cruz wanted to create a more comfortable and compliant ride, while refreshing the geometry to improve the bike’s handling on increasingly challenging XC racecourses. But there’s another story with the new Highball, and that story is weight. 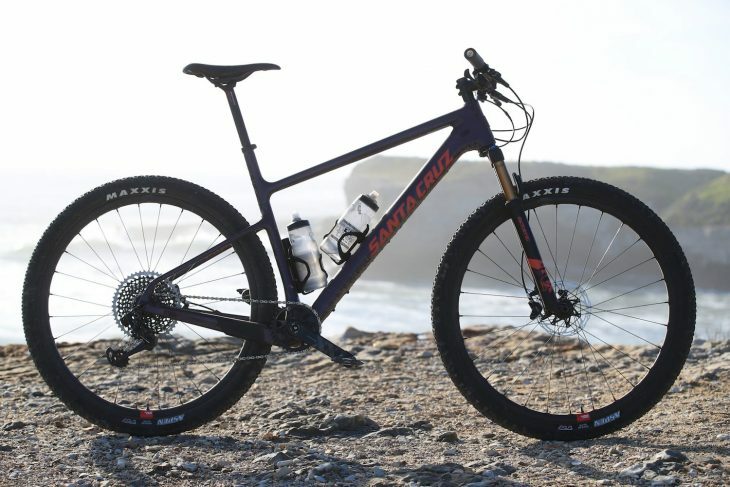 Going all-out, Santa Cruz has produced its lightest hardtail yet – in the top trim with Reserve carbon wheels, a SRAM XX1 Eagle groupset and Fox 32 SC Factory Series forks, Santa Cruz claims you’re looking at a svelte 8.68kg (19.1lb) race rocket. Yeesh. The new carbon frame brings a 13% weight reduction, despite getting longer. Photo: Gary Perkin. To do this, Peter Mueller-Wille (the lead design engineer on the Highball project) and the rest of the engineering team went back to the drawing board. Tube shapes were scrutinised, new carbon layups were tested, and raw material options were investigated. Much of this development has been made possible due to the fact that Santa Cruz is a part-owner of its own carbon factory in China – a factory that it helped finance and setup in 2013. 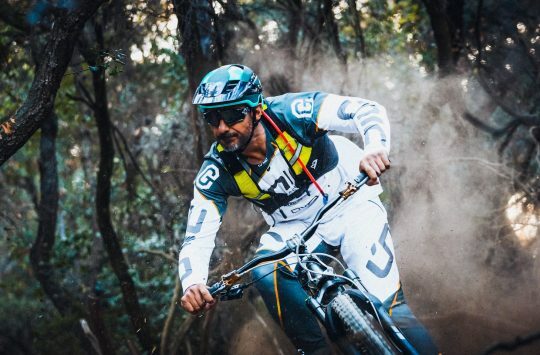 Whereas Santa Cruz previously dealt with a large Asian contract manufacturer that built for many other brands, its current factory only produces carbon fibre frames (both C and CC versions) for Santa Cruz, along with a small number of road bike frames for one other brand. And because that’s it, this helps Santa Cruz to keep its R&D private, without fear of other brands ripping off its intellectual property. The result of the engineering team’s work is a bare frame that weighs under a kilo. Add on all the hardware (like the alloy rear axle, derailleur hanger, chainstay protector and internal cable guides), and you’re looking at an 1140g frame in a medium size. That isn’t exactly groundbreaking in today’s competitive XC hardtail market, but it does represent a hefty 13% weight reduction over the previous Highball. Oh, and there’s no weight limit for this frame either. Lowered seatstays offer more compliance. Photo: Gary Perkin. On top of that, Santa Cruz states the new Highball has doubled its compliance. This is determined by applying a force at the rear dropouts while holding the saddle in a fixed position, and measuring vertical displacement of the axle. In effect, this vertical displacement is like built-in micro-suspension that aims to take more of the sting out of the trail. Much of the added compliance has been achieved through a new carbon layup and by dropping the seatstays further down the seat tube. There’s a balance to be had here though, because the lower those seatstays move down, the more lateral waggle you’ll get through the back end. Having tested numerous prototypes with different seatstay positions, Mueller-Wille’s team settled on the current iteration to bring about a noticeable improvement in comfort, without sacrificing too much rigidity. Stock builds will come with a 27.2mm Syntace carbon seatpost. Photo: Gary Perkin. Furthering rider comfort is a slender 27.2mm diameter seatpost, and on the higher-end models, Santa Cruz is speccing a Syntace P6 Carbon HiFlex to add in a little more give. This added compliance will be of particular interest to marathon racers and long-distance XC riders. After all, when you’re spending hours on the bike, more comfort equals less fatigue. You can fit 29×2.4in tyres in the back. Photo: Gary Perkin. For those who like to go long, there’s room on the Highball frame to fit three water bottles. There’s also clearance for up to a 29×2.4in wide tyre (Muller-Wille informed me that they’ve tested Minion DHR II’s in the back – yes, really), though as with the Blur, the Highball isn’t designed to fit 27.5+ tyres – it is 29in wheels only. It’s also 1x only, features post-mount brake tabs, and has a threaded bottom bracket. The frame could have been made lighter with a press-fit system, but Santa Cruz prefers the reliability of a threaded BB, and the internal dropper cable routing is neater this way. You can get the Highball CC frame for £1699, or as a complete bike with six builds on offer from £2799 up to £6599. The three cheaper builds make use of a heavier Highball C carbon frame (same geometry, same tube shapes, just over 200g heavier), which isn’t available aftermarket. There’s a SRAM groupset including the excellent Level brakes. Photo: Gary Perkin. During the launch in Santa Cruz, I rode a Highball CC X01 Reserve, which is one step down from the top-level option. Instead of the Kashima Fox fork, XX1 groupset and DT Swiss 240 hubs that most other journos were riding, my bike came with an all-black Performance Elite Fox fork, an X01 drivetrain, and DT Swiss 350 hubs. It’s hardly what you’d call utilitarian, but with much of the same functionality for 800 squids less, it’s the smarter choice out of the two spec options. Despite the ‘cheaper’ components and the KS LEV Integra cheater post (stock builds all come with rigid posts) my medium-sized test bike still came in at quite an incredible weight of 9.31kg (20.42lb). Which incidentally, was almost exactly 1kg lighter than the Blur I rode the day before. 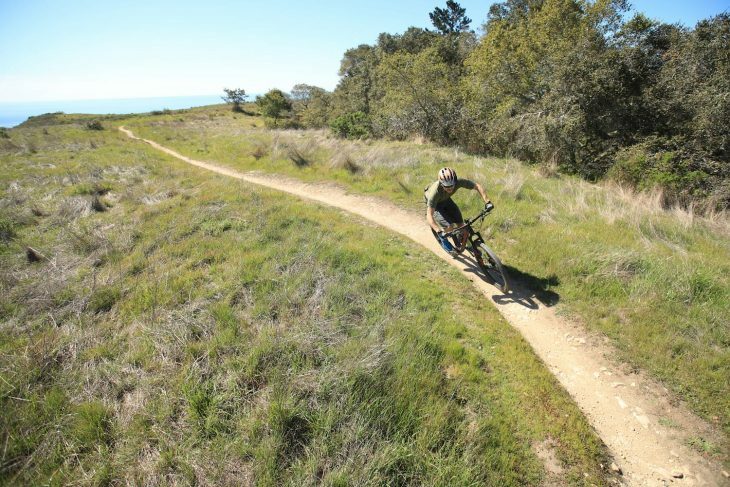 The trails at Wilder are just up the coast from Santa Cruz Bicycles. Photo: Gary Perkin. 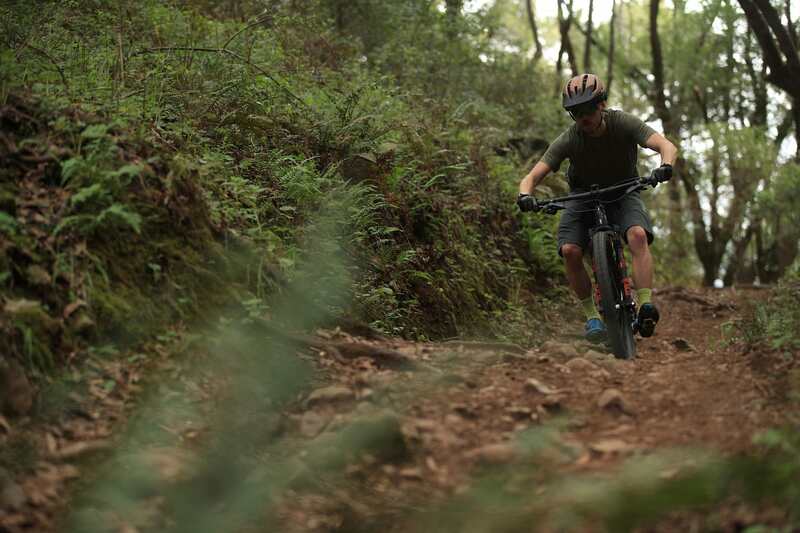 Unlike the Blur ride, our day out on the Highball started straight from the Santa Cruz Factory. 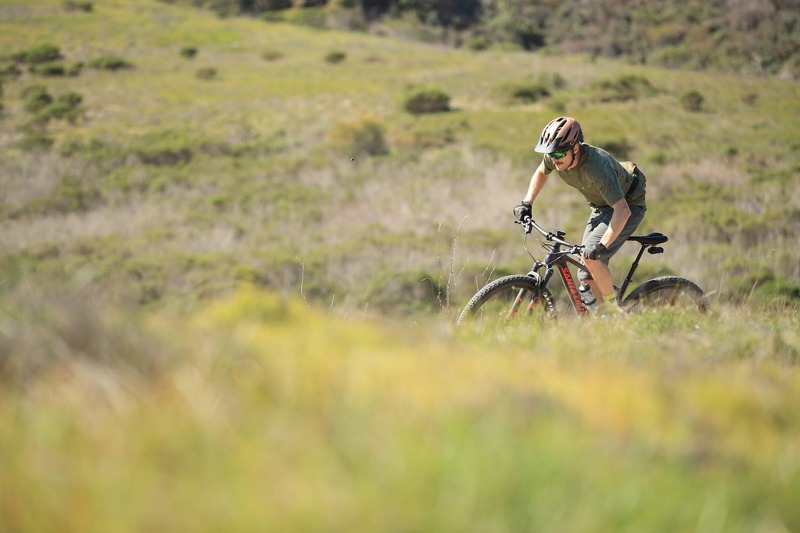 With pedals fitted, bottles filled and GPS head units switched on, we pedalled our way up the coastline and away from town to explore the singletrack trails around Wilder. Though there had been decent rain (by Californian standards) only a couple of days before, the trail surface was still bone-dry. 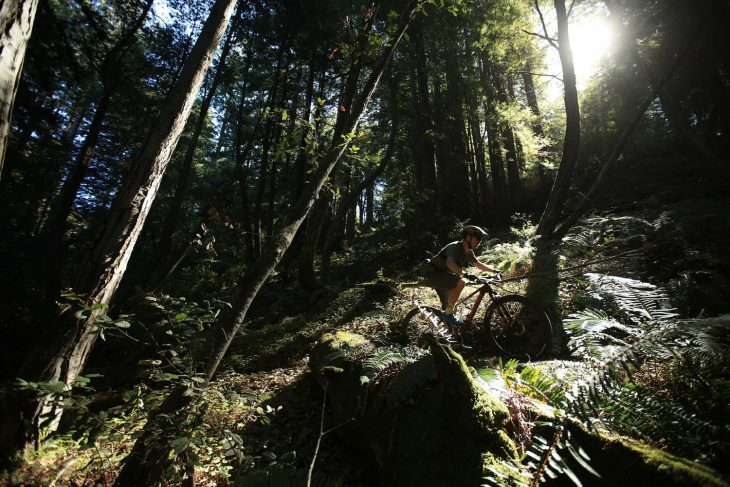 The exposed sections provided dusty, rocky, and at times sandy, singletrack and rutted-out double track sections, while the trails further down amongst the trees gave way to beautiful brown loam strung between bright green foliage. Thanks to the conditions, there was plenty of scope for going very, very fast. The new Reserve carbon rims from Santa Cruz are really well finished. Photo: Gary Perkin. At 175cm tall and being a medium size in most brands, it was medium I went with the Highball. Thanks to the 1x drivetrain and adjustable brake lever reach, it’s a pretty quick and easy bike to setup. The Fox 32 Step Cast is a familiar fork for me, so for my 70kg riding weight I went with my usual setting of 74psi, and ran the rebound dial 7 clicks from full slow. For tyre pressure on the lightweight Maxxis Aspens, I put 22psi in the front and 25psi in the rear. With a big 750mm wide handlebar and a 70mm long stem, the cockpit emulates its fully-suspended cousin, the Blur. 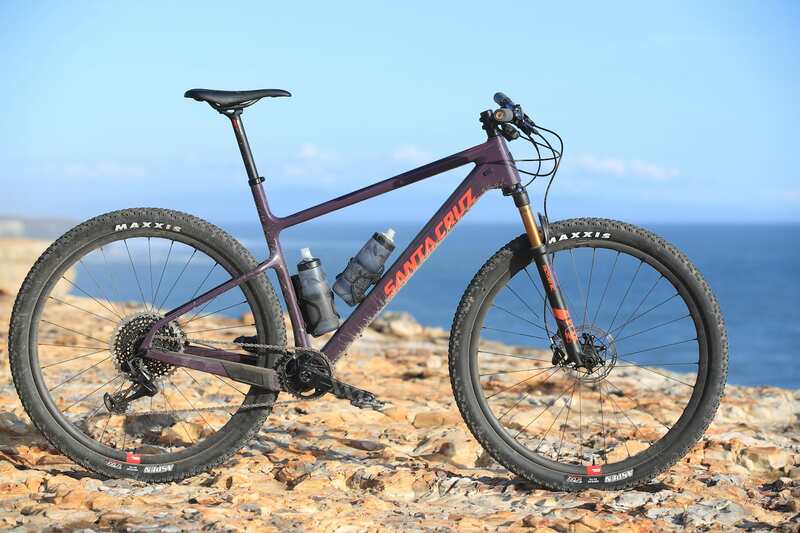 This is kind of what Santa Cruz was going for – to offer a similar fit, so that those who take their racing very seriously and would want to own both a hardtail and a full suspension option could get both bikes and easily switch between the two. And while on paper the 430mm reach measurement is a little shorter than the Blur’s 440mm, in practice the Highball’s effective reach actually increases as you sag into the fork travel, so they end up feeling very similar on the trail. Point it downhill, and the difference with the Highball 3 becomes instantly apparent. Photo: Gary Perkin. As soon as you get the Highball up to pace on some twisty trails, the changes over its predecessor become immediately apparent. 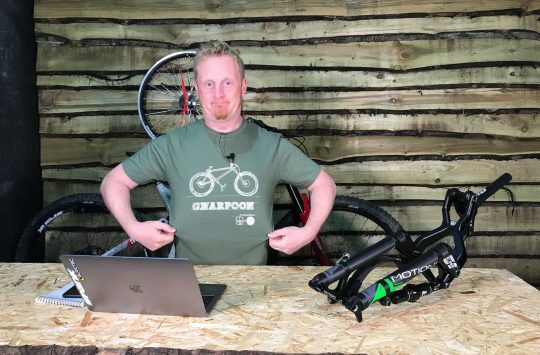 The head angle is a full degree slacker, and the wheelbase is significantly longer – on a medium size frame, you’re looking at a full 37mm more length in the wheelbase, all of which is in the front centre (the distance between the BB and the front hub). This makes for a much more planted feel, especially when you point the front tyre downhill. The trail-inspired cockpit is likely to freak out some of the old-school racers, but understand that the effective reach from the saddle to the grips isn’t that much different from an old Highball setup with a 90/100mm long stem and skinny bars, and it won’t be so freaky. The different cockpit and longer front centre simply means that you accrue masses more stability, so you can pin it harder and faster on the technical sections. In many XC races, it’s often those tricky sections where you can potentially make up crucial seconds per lap. With a superb cockpit and riding position, the Highball corners beautifully well. Photo: Gary Perkin. It does take a slightly different cornering style though, and you’ll need to lean and carve rather than just turning the bars to make it round the bends. Once you adapt to it though, it’s very responsive, and properly quick. Unlike the Blur, Santa Cruz stuck with a 51mm fork offset for the Highball, with the goal of keeping the front steering nice and light. I found this noticeable on steeper switchback climbs at slower speeds, where the quick steering allowed me to cut a pretty tight arc to ensure I made the exit every time. 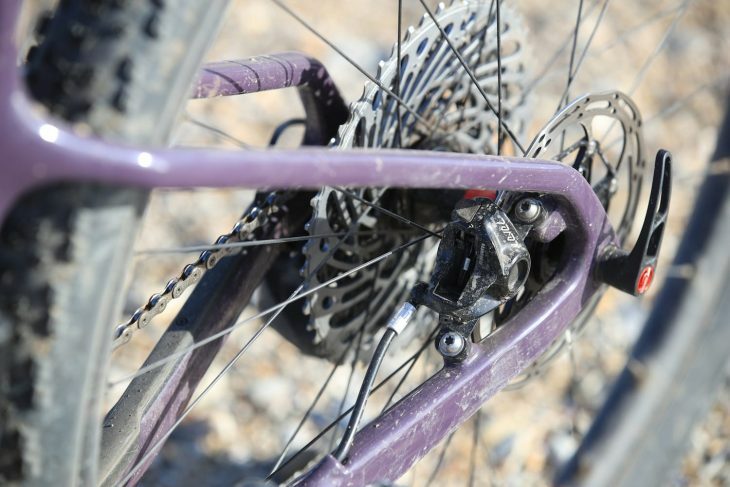 It also keeps the handling quite flickable on the flats and on twisty descending trails. Sure, it doesn’t have the same descending prowess as the Blur, but it’s no doubt a vastly better descender than the old Highball. The sub-10kg Highball speeds uphill with fervour. Photo: Gary Perkin. 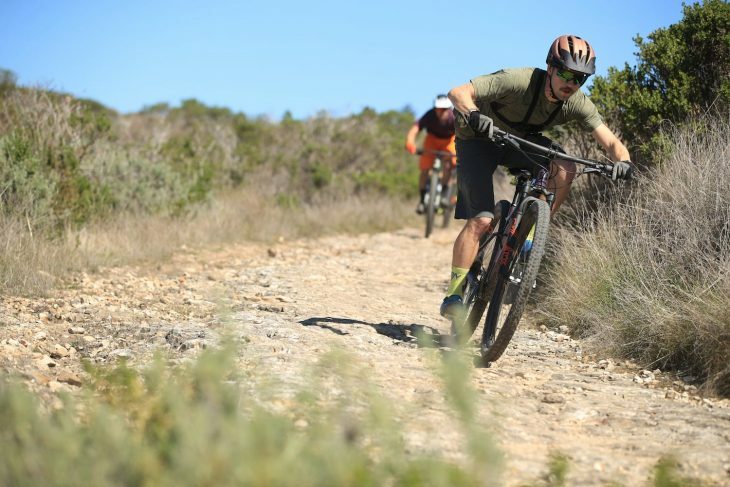 There’s no need to worry about it being slower on the flats or up the climbs either – this is after all still an XC hardtail. 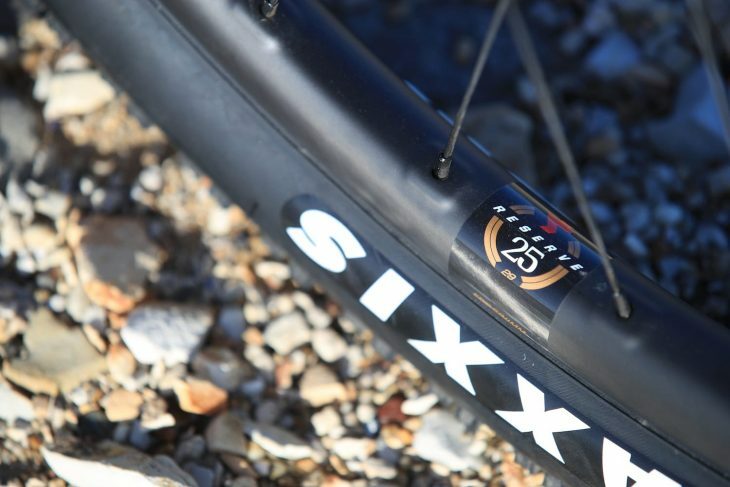 The fast-rolling Maxxis tyres and stiff carbon rims make it quick off the mark, with excellent acceleration and a good planted feel through the BB area. The whole bike feels very lean and low, which is partially due to the integrated headset that has lowered the stack height a smidge. 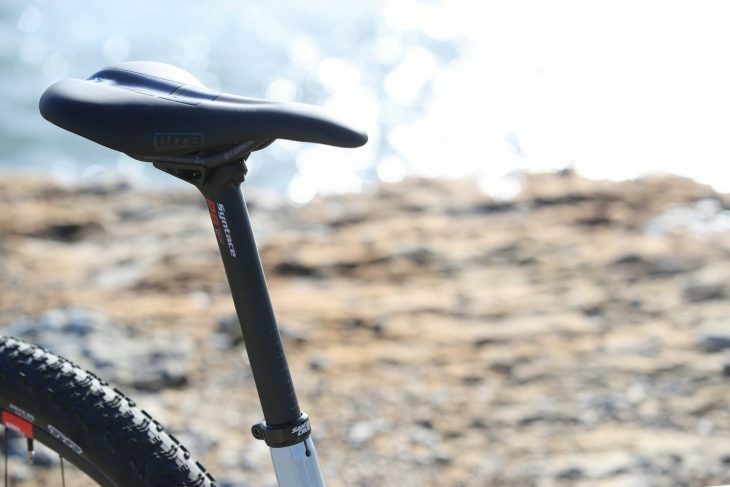 The seat angle is also a touch steeper than the previous generation Highball, and that’s noticeable on the stem-chewing climbs where you really need to get your weight down low over the front to keep the power down. If you’re one to enjoy your climbing, you’ll love how well the Highball digs in and punches forward. For closing gaps on riders up ahead, I relished in the bike’s ability to make me a much quicker rider than I actually am. The Highball isn’t angry, but it ain’t afraid of going absolutely flat-out. Photo: Gary Perkin. I don’t have a lot to say on the component front apart from what I already commented on in my review of the new Blur, as the spec is very similar between the two bikes. The only noticeable issue I had on the Highball was with the shifting, with a bit of random popping and chain skipping that seemed to be relatively common for other riders in our group too. 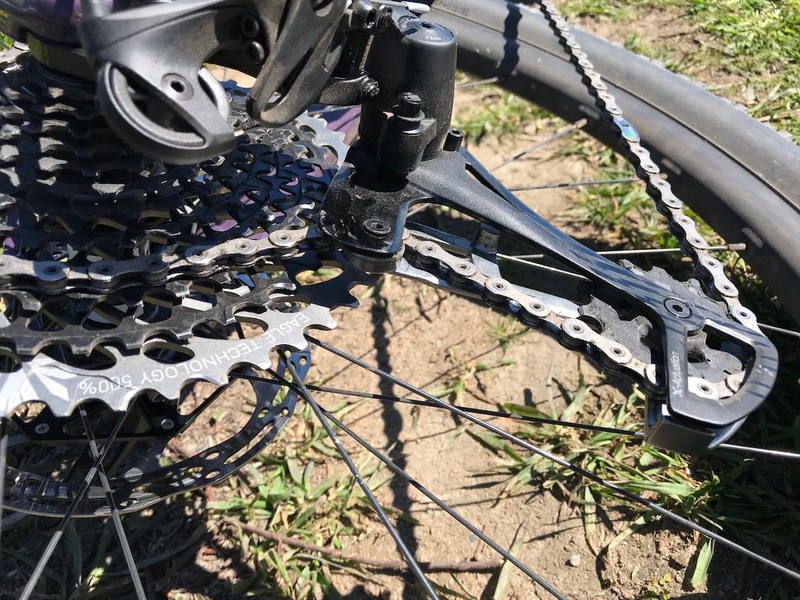 On one particularly rocky section of trail, without warning, the upper jockey wheel on my rear derailleur disintegrated and disappeared somewhere on the trail, leaving just the cartridge bearing on its lonesome. Thankfully it happened towards the end of the ride, and I was able to nurse the bike back to home base with the chain running over the wee bearing. It’s the first time I’ve had a fatal issue with a SRAM Eagle rear mech, and while it could have been a setup issue to do with derailleur settings or chain length, it could have also just been a freak accident. 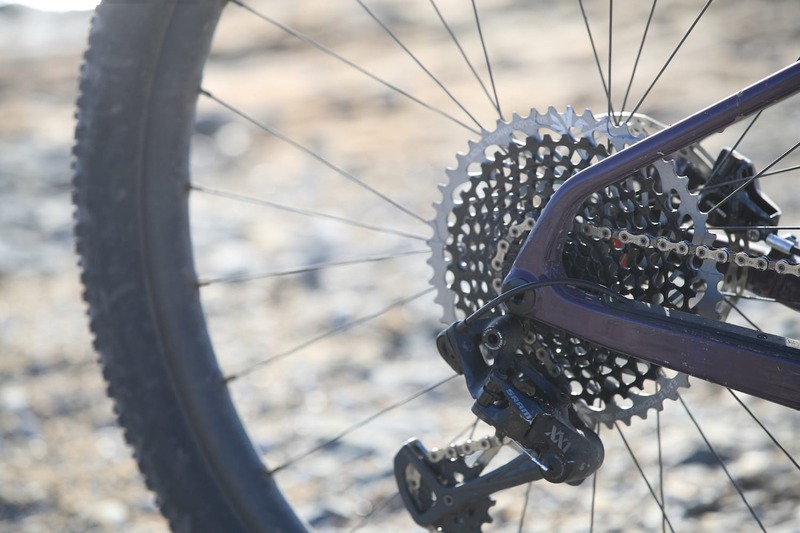 Given how sensitive to improper setup Eagle 1×12 drivetrains can be, my guess is the former. As for comfort? 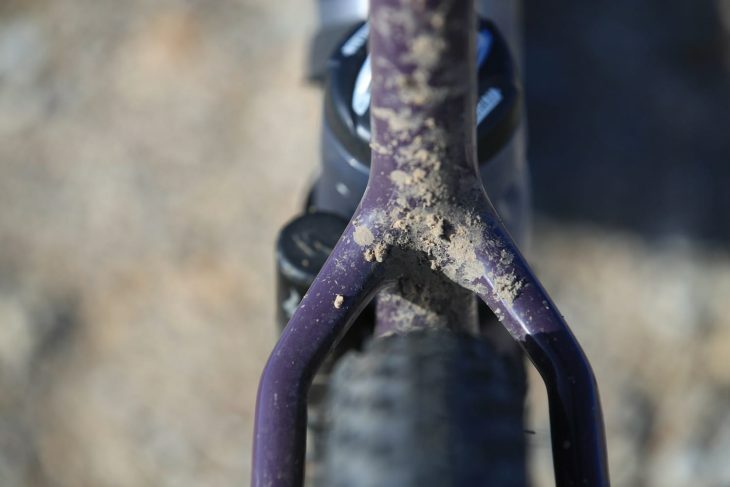 Well the Highball is smooth for a hardtail, though I’d need more time back-to-back testing with other competitors to make any grand conclusions, and I’d also need to ride the bike with the stock Syntace carbon seatpost. That said, I can confidently say that it isn’t as bendy as the likes of the BMC Team Elite or the Trek Procaliber, which are the current leaders in that nouveau soft-tail segment. But given it doesn’t use any funky pivots or hidden elastomers, it is very comfy for a fully rigid frame. Tidy post-mount brake tabs keep the calliper tucked inside the compact rear triangle. Photo: Gary Perkin. In redesigning its flagship carbon hardtail, Santa Cruz has ticked off what it set out to achieve. 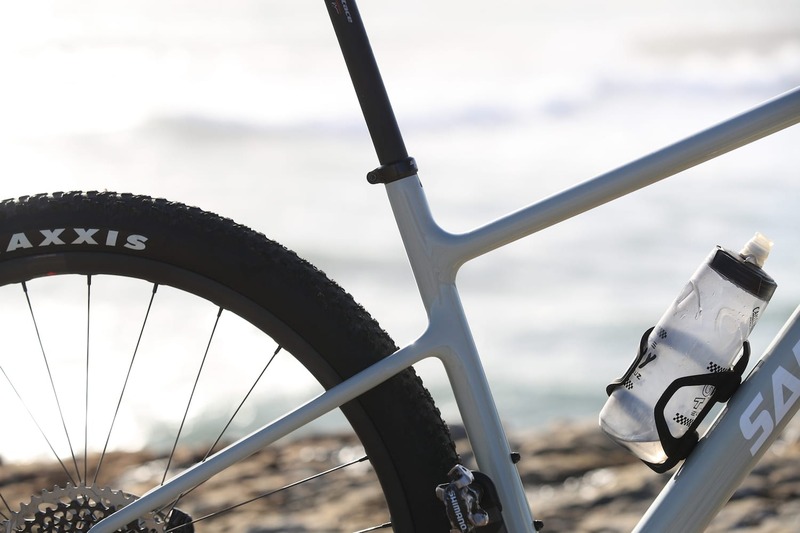 It’s built a more compliant frame that is lighter overall, and that will already please plenty as it is. But in my opinion, it’s the bike’s improved descending qualities that make it really stand out in a crowded market. In fact, with its balanced geometry and well-chosen parts spec, I’d have to say that this is one of the most capable XC hardtails I have ever ridden. It’s pitched as a comfortable and lightweight XC/marathon racer, but the Santa Cruz Highball impresses most with its fun-loving attitude. Photo: Gary Perkin. and I thought the Blur at Eight was bad! Before you judge it’s compliance, test it with a carbon seatpost. I normally ride my Norco Revolver HT with a 27.2 Chinese leaf spring style carbon post and trail chatter feels pretty muted. When I rode it with a Brand-X dropper post it felt like every tiny ripple in the ground was getting transmitted directly up my spine with bone jarring precision. @mcvittees – Exactly! I did have the chance to go for a brief ride with the stock setup, and it’s noticeably more compliant. 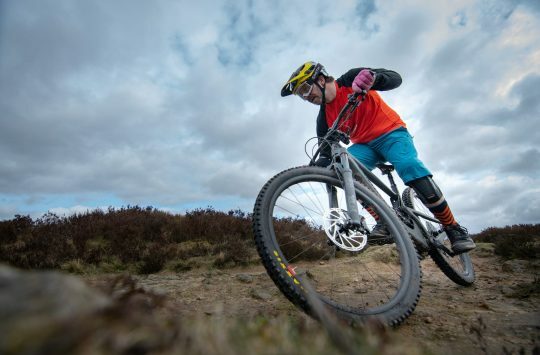 The Syntace P6 HiFlex is without doubt one of the most comfortable rigid seatposts going, so I can see exactly why Santa Cruz has spec’d it on the Highball. Personally, I’d be keen to test with a variety of wheels and tyres too, as there are so many variables in there. 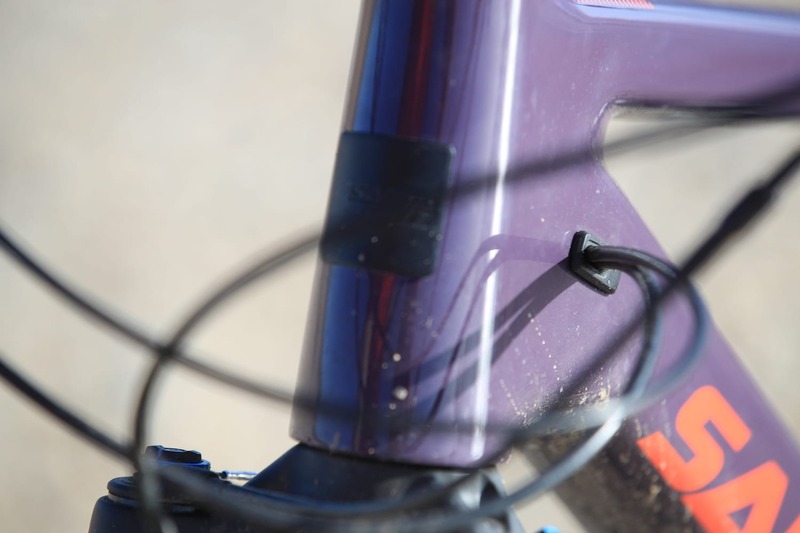 That all said, I was really impressed with how comfy the Highball was even with the LEV Integra dropper post – a lot of the compliance is surely a result of the frame and the repositioned seatsays. Question regarding the fork offset. The santacruzbicycles.com site states a 44mm offset vs a 51mm. I was planning on buying the frame and putting my existing 120mm 51mm offset fork on it but the specs claim on their site made me waiver. Your review changes all of that. How can I confirm?